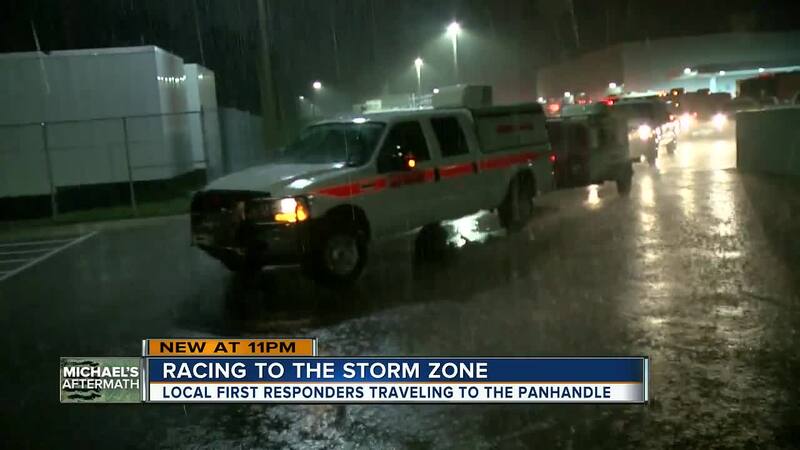 Thurs., Oct. 11 -- 5:30 p.m. | Life-threatening flash floods and powerful winds in N.C. 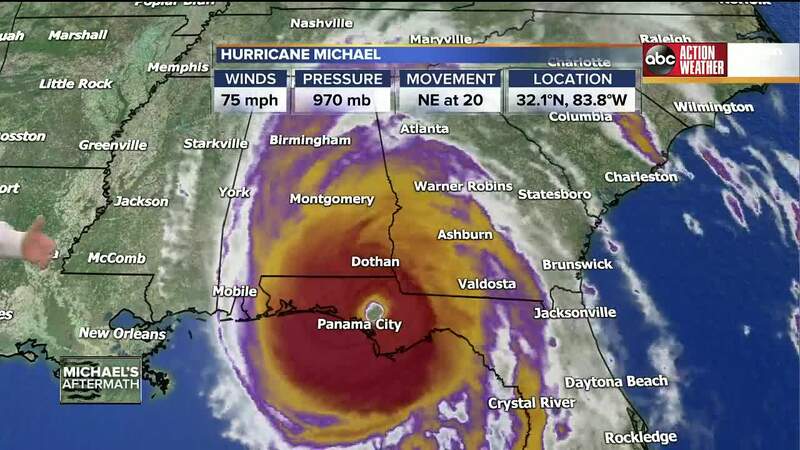 Thurs., Oct. 11 -- 5:10 p.m. | Over 300,000 without power in N.C.
Florida’s governor is asking for a two-week delay in a debate with the Democratic incumbent in the U.S. Senate race so he can focus on response and recovery from Hurricane Michael. The western part of North Carolina is being lashed by bands of rain from Hurricane Michael, causing some water rescues and a landslide that closed a road. Bay County has confirmed reports of looting in Panama City and has issued a mandatory curfew from dawn to dusk, starting immediately. "Please understand this has been a serious storm and we have damage like we have never seen before," said Deputy Chief Bradley Monroe. Sheriff Tommy Ford said, "This was our worst fear and there is a lot of damage." The county has been hampered by communication issues. Internet and phone lines are down, but 911 is still operational in Bay County. 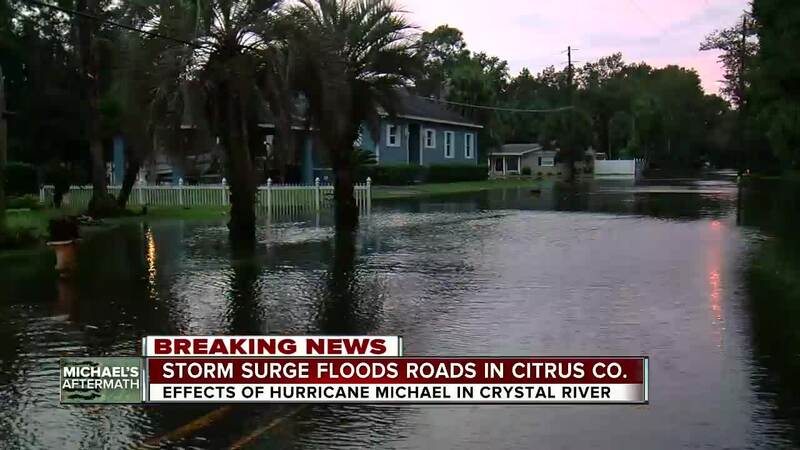 Many roads are impassible and want people to stay away if they evacuated. They are also getting reports of structural collapses, but they have not been able to respond to due to impassable roads. Sheriff's official tells the Associated Press that one person is dead in the Florida Panhandle. He was killed at home by falling tree during Hurricane Michael's passage. Gadsden County Sheriff's Office spokeswoman Anglie Hightower says they received a call around 6 p.m. Wednesday, saying a tree had crashed through the roof of the man's Greenboro home and trapped him. 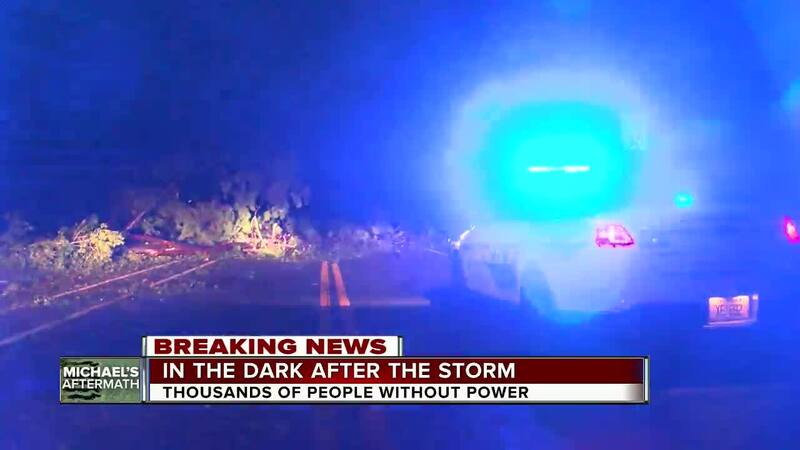 Emergency crews were heading to the home, but downed power lines and blocked roads were making the trip difficult. Florida Gov. 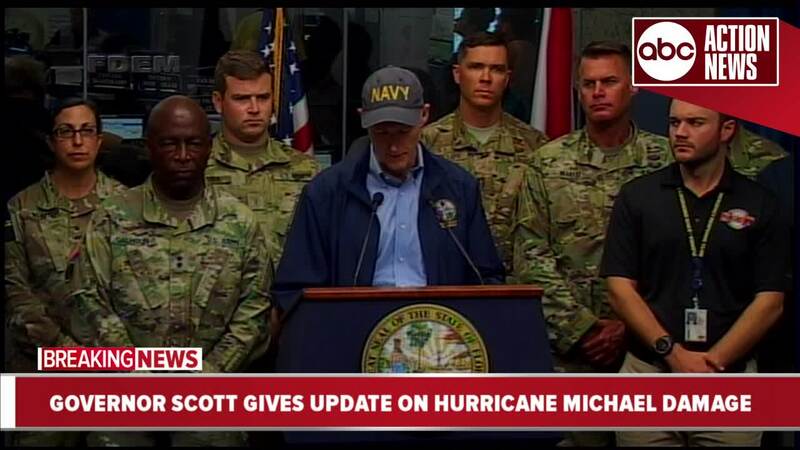 Rick Scott says search and rescue teams are heading into the state's hardest-hit areas to help survivors of Hurricane Michael. He says flash flooding and tornadoes are still possible and says officials have heard reports of at least two tornadoes in Florida. 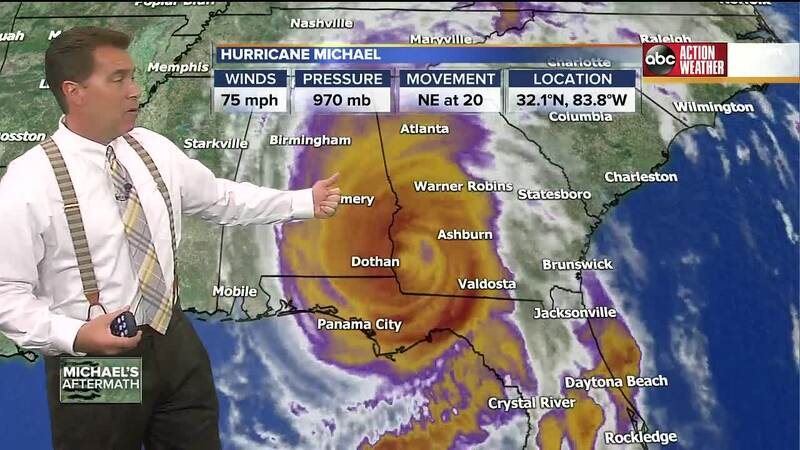 Hurricane Michael is slowly weakening. The monster storm is still a Category 3 storm with 125 mph winds. Bay Medical Sacred Heart reported damage to the hospital including blown out windows, a cracked exterior wall and roof damage. Hospital is working on generator power and patients are in safe areas of the hospital. NB Bayshore Blvd. closed at Rome due to localized flooding. Isabel Rosales brings us this report.